Logic is certainly on a music rampage and spittin' some of the best stuff to date, like on "Nasty," which he also released a video for. The track was produced by Don Cannon and it finds the Maryland rapper proving exactly why Def Jam recently signed him to a record deal. 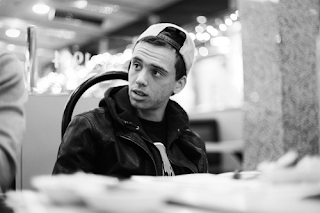 I'll admit last year I was not really paying attention to Logic, and I kick myself for that because he has the lyrical ability and flow to make it big. The video was directed by his frequent collaborator on videos, GRVTY and it follows the rapper around as he shows intensity in his rhymes.